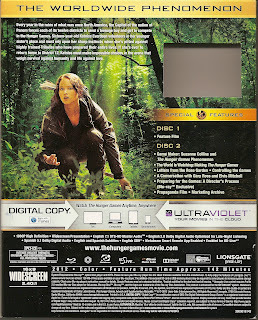 Welcome to District 12: The Ultimate Hunger Games Blu-Ray Review! Since the version we have is a Blu-Ray, we have to say that watching The Hunger Games is a total eye feast. 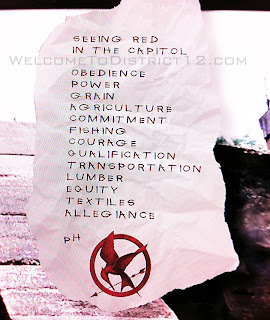 Be prepared to pause a lot because you'll be wanting to take in every aspect of those Capitol scenes. (Has anyone been able to spot Haymitch taking a long whiff into a white rose at the Tribute Parade?) Fans will be able to appreciate the detail and beauty of the costumes and locations that Gary Ross and his crew made come to life. Whether or not you own the Blu-Ray or DVD, you will get to see the documentary (either all at once or section by section, up to you!) 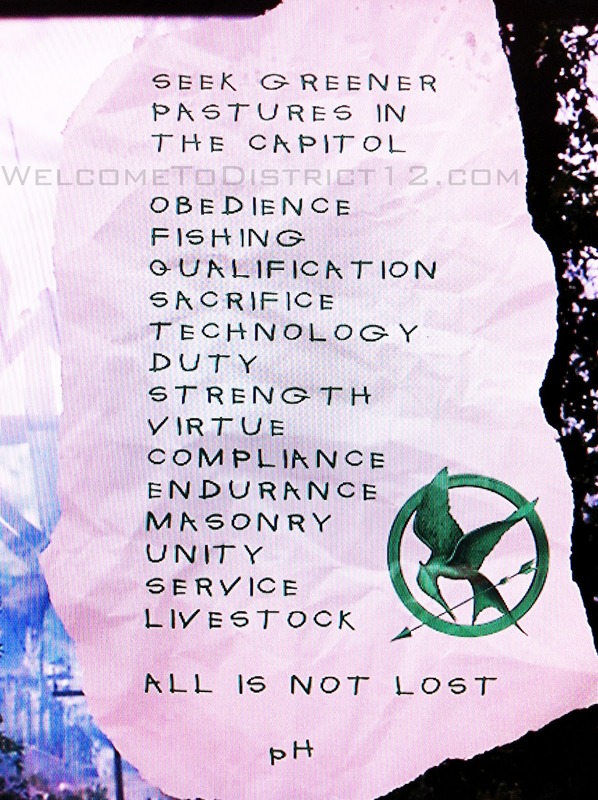 The World of The Hunger Games. This documentary (which runs somewhere between 2 and 3 hours) covers pretty much all the aspects of the film process. Fans will get a look at development, casting, design, tribute training, shooting on location, visual effects, scoring, sound design, editing, and the press tour. When we watched the special features there were certain moments that really made us think of the fans and how much they will enjoy this documentary. Fans who remember when The Hunger Games was in the casting and production stage will especially have an appreciation for these special features. Some questions you have had will be answered, as well as completely new information will come to light. Of course we are incredibly grateful for all these special features, but our only regret is a lack of focus on the Foley team. But really we can't complain, we just CANNOT get enough of extra content! Hands down, the coolest featurette is Letters from the Rose Garden. This, of course, is the famed email Donald Sutherland wrote to Gary Ross about power, READ by Donald Sutherland himself. This truly took our breath away. From all we know, feel, and love about The Hunger Games, you might just want to cry. Donald Sutherland understands the books as well as any one of us, and we were just so overcome with emotion because of how lucky we are to have such a lengendary actor who truly understands what makes Snow tick. We know fans are hoping and expecting certain things from the special features, so we made sure to find out these things when we went to Lionsgate. First of all, no deleted scenes. The truth is that there was not enough deleted scenes in existence to put it on the DVD. All is not lost though, friends! The Lionsgate folks said that the movie we have come to love is pretty much the first version Gary Ross showed to Lionsgate, which is rare. This is why there are limited deleted scnes. There are no full deleted scenes to offer, but I imagine they have tidbits lying around somewhere. The fine people at Lionsgate said they would probably save these small bits of footage for a future box set much like the later released Harry Potter box sets. So Hunger Games fans, do not despair! As for the commentaries, it unfortunately did not work out for this particular round. 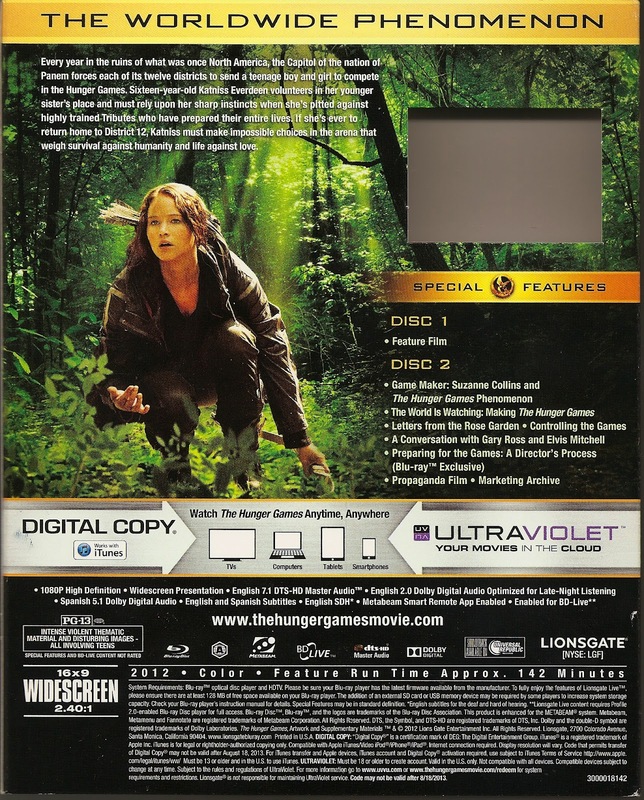 Because the special features were being put together during the press tour, they were unable to get Jennifer, Josh, and Liam together to record a commentary track. Hopefully they will have better luck next time! 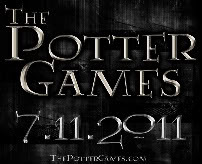 Lastly, the Marketing Gallery consists of the trailers, set photos, and movie posters. 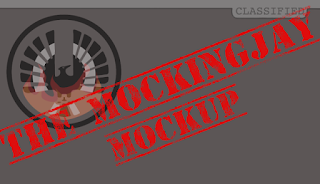 While we are glad they included this, we wish they would have added some concept art. But then again, we are special features junkies and too much is never enough for us. The Easter Egg - PLUTARCH, IS THAT YOU?! Our DVD EASTER EGG POST IS UP! Click HERE to see Plutarch's message! 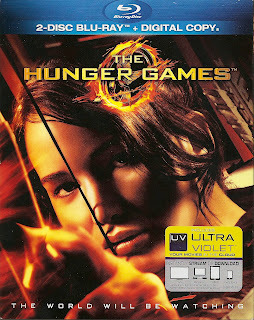 We are giving Lionsgate a solid A for the Blu-Ray! Of course they don't have every single thing fans wanted, but we can't deny that they've given fans a whopping 3+ hours of special features. They wanted to give fans as much as possible, and they certainly delivered. Keep in mind there are still other BOX SETS that will also be available upon release! Something for you to look forward to: alongside your Blu-Ray or DVD you will receive a digital copy from iTunes or you can download and stream through the Ultra Violet service. 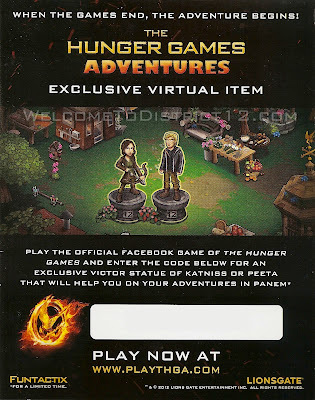 Also, VERY cool news for The Hunger Games Adventures fans! 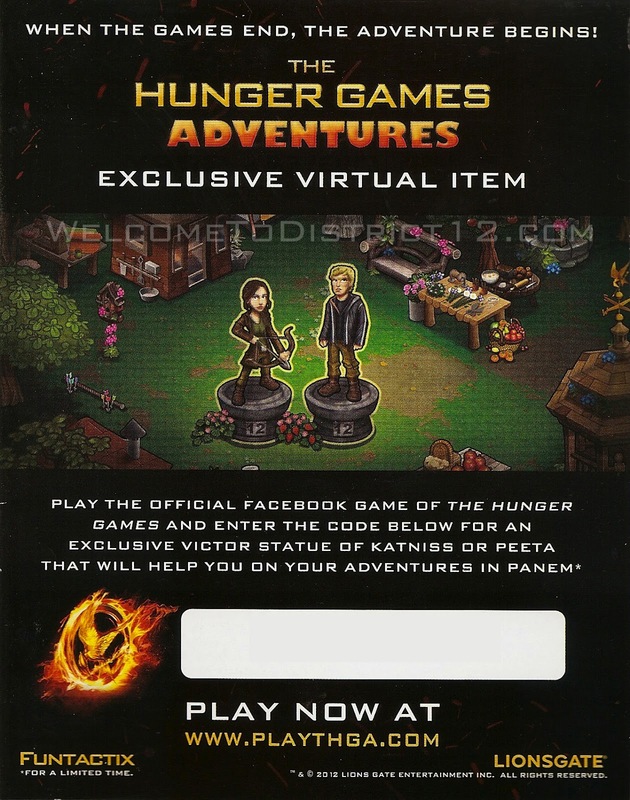 Inside our Blu-Ray/DVD we found a virtual item code! So in conclusion, we hope to see you guys at some midnight DVD release parties! Happy Hunger Games!